An additon can interfere with many interior spaces, and distrupt your life while under construction. 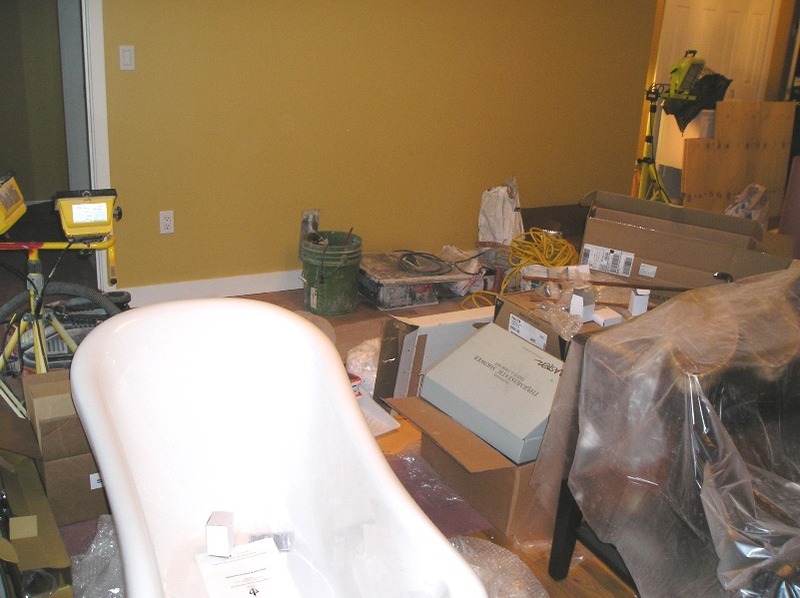 Living through a remodeling project is not fun. If you can avoid it, live somewhere else while the major work is being done. Either way, dust control should be a major part of the set-up for any remodeling project. 1. Have a clear, complete design plan. The only way to get competitive bids you can rely on is by an apples-to-apples comparison. You must have finishes, fixtures, appliances, cabinetry, lighting, and budget all defined in order to get accurate bids from a contractor. 2. Have a realistic budget!!! 3. Who is in charge? Whether you hire a contractor to be the general contractor or whether you do it yourself, decide who will be the decision maker when you are unavailable. You have probably underestimated how much time (and money) can be wasted when a crew of workers has no direction. Letting the contractor control your project or letting it “come together on the fly” and may result in costly mistakes. 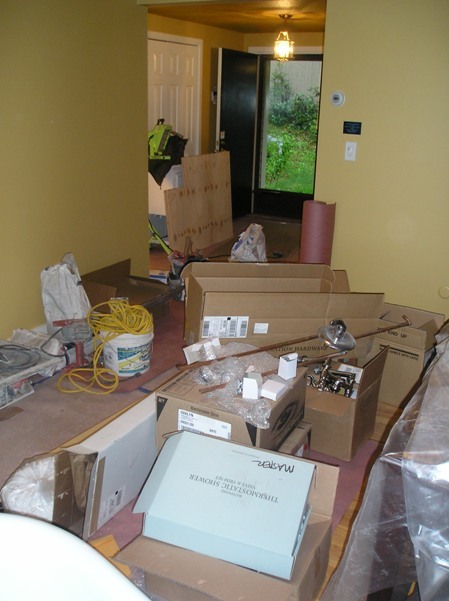 Avoid being your own general contractor if you don’t have a flexible job or if you are a long distance from the home being remodeled. 4. Prevent the project area from spreading to the rest of your space. Use plastic, tape, plastic, carpet runners, plastic, and fans to keep air moving from the clean space to the “dirty space” while keeping adjacent areas clean. And be safe…throw out the plastic when you are finished. Static electricity will adhere hazardous material like lead dust to your plastic. Throw it out when you are done. 5. Stay three steps ahead of the contractor and sub-contractors. 6. Choose all of your fixtures and have them on site as soon as possible. DO NOT wait until the contractor is asking for them. 7. Be patient and don’t panic when things are not running smoothly or perfectly. Building construction is only perfect on paper. On the job things nobody anticipated with always come up. Be ready for them. Learn to go with the flow and not exactly according to the schedule. You’ve got to be flexible. There is a lot of balancing and coordinating. 8. Pick your paint colors way ahead of schedule and paint test samples to be sure of your choices. Again, DO NOT wait until the day before the painter is coming to make your final choices. 9. If you have a strict budget, stick to it by not increasing the original scope of the project. 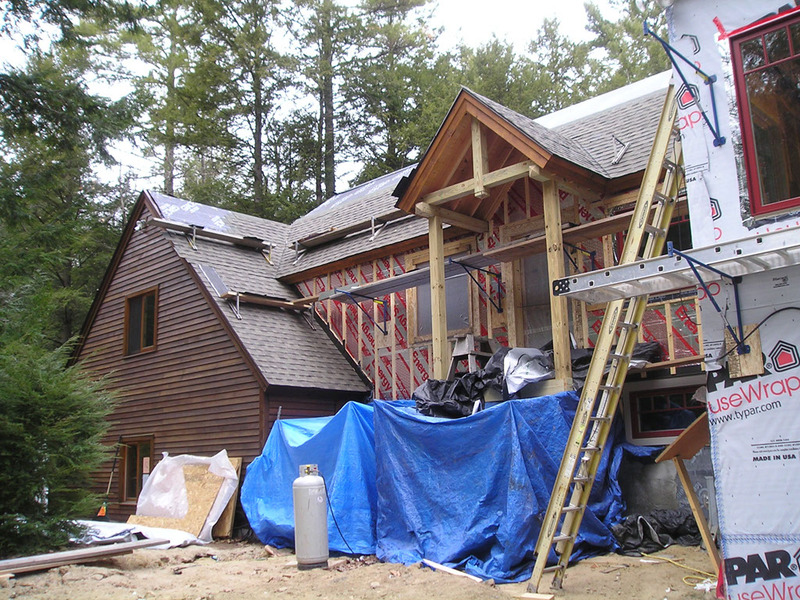 In my experience, most projects that go over budget are due to the homeowner increasing the scope of the project, after the project starts. 10. If the scope of your project grows, the longer your project will take so plan accordingly. This is the staging area outside the bathroom.